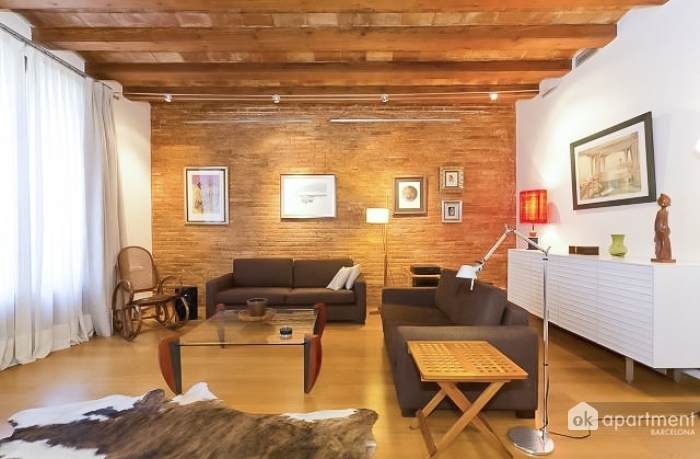 Apartments in the Centre of Barcelona of 117 m² for 5 people. Is newly renovated and has two bedrooms: one with a double bed and the other with two single beds (can be joined). In the living/dining room there is a sofa bed. The kitchen is fully equipped with fridge, oven, dishwasher, coffee maker, etc.. It has two bathrooms with shower. Internet and air conditioning included in the price. There is a laundry. 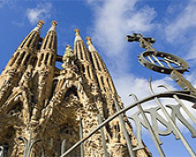 The apartment is located in the Raval district, close to Las Ramblas (200 metres) and Plaza Catalunya. Therefore, there are good connections with public transport: in Plaza Catalunya you will find the subway, trains, buses and the Aerobus. The House is within walking distance of the MACBA. The Raval is a multicultural neighbourhood with many people and full of life, and a wide range of exotic restaurants, bars and shops.